Summer 2019 term enrollment is now open! The Urdu Language Program at ILI consists of four 10-week terms throughout the year. We offer 4 different levels from beginner to intermediate. Classes meet at the Institute once a week in the evenings. Our teachers are all native-speaking and experienced. The Urdu Language Program integrates speaking, listening, reading and writing. We maintain small class sizes to enable adequate time for conversation in every class. To find your level, please refer to the level description or use our self-evaluation guide. If you have further questions, please call Jonathan Selkin, ILI’s Foreign Language Coordinator, at 202-686-5610 extension 105. Enroll now! Offered on: Thursdays: 6:15 - 8:45 pm. Enroll now! This course is for those learners with little or no command of the Urdu language. Learners will be introduced to modern spoken and written Urdu. Learners will learn how to respond to typical everyday needs, such as formal introductions, greetings, offering thanks, exchanging personal information, expressing respect, giving commands and instructions, and making requests. Learners will be introduced to Urdu script and will learn how to form the letters of the alphabet. Basic listening, speaking, reading and writing skills will be addressed throughout the course. Objective: To introduce learners to basic Urdu vocabulary, simple sentence structure, and to provide learners with the ability to engage in simple conversation. The emphasis of this class is placed on learning Urdu sounds and the writing system, building vocabulary, acquiring essential grammar and developing basic conversation. Outcome: Upon successful completion of this course, learners will be able to form basic sentences, engage in simple conversations involving greetings and introductions, descriptions, and common idiomatic expressions. Learners will further be able to read and write Urdu script. Topics: In addition to learning the Urdu alphabet, grammatical topics covered in this level will include simple sentence structure, interrogative and negative sentences, numbers, demonstrative pronouns and adjectives, noun types and forms, indefinite words, plurality and respect with adjectives and nouns. Lessons: Parts I and II, Chapters 1 to 6, pages 1-105, plus supplemental material selected or generated by the instructor. Offered on: Tuesdays: 6:15 - 8:45 pm. Enroll now! This course is for those learners who have already mastered the Urdu script. Listening, speaking, reading and writing skills will be consolidated throughout the course. Learners will learn how to provide extensive personal information, including how to describe one’s family members, one’s home and one’s daily routines at work and at home. Learners will also acquire essential basic skills such as telling the time, talking about geographic locations and describing the weather and climate. Objective: To enrich learners’ everyday vocabulary and to allow learners to become conversant with more complex grammatical structures. The emphasis of this class is enabling learners to engage in more developed conversations regarding their professional and personal circumstances and to gain further insight into local customs and traditions. Outcome: Upon successful completion of this course, learners will be able to pursue conversations involving descriptions of daily routines, people, possessions, home and work. Learners will further be able to tell time and discuss climate and weather-related issues. Topics: In addition to consolidating knowledge of the Urdu alphabet, grammatical topics covered in this level will include the possessive case, comparatives and superlatives, post-positions, oblique forms of post-positions, pronouns and adjectives, reflexive pronouns, the Present Continuous, and conjunct verbs. The use of the infinitive will be explored further. Lessons: Chapters 7 to 17, pages 113-246, plus supplemental material selected or generated by the instructor. Offered on: Mondays: 6:15 - 8:45 pm. Enroll now! This course is for those learners who have already acquired a solid foundation in the written system coupled with a good grounding in basic grammar. Listening, speaking, reading and writing skills will be further developed throughout this level. This level will introduce more complex grammar and themes, such as expressing likes, needs and desires, obligations and recommendations and giving instructions, and vocabulary will be enriched. Objective: To allow learners to express a wider range of preferences and concerns through a command of more complex structures and vocabulary. The emphasis of this class is to enable learners to apply knowledge gained thus far to fulfill a number of daily functions, including conducting transactions and communicating desires and obligations. Outcome: Upon successful completion of this course, learners will be able to express preferences and perform daily transactions, such as choosing items, expressing measures and discussing prices. Learners will also be able to describe past circumstances and past activities, and to iterate rules and regulations. Learners will have a more extensive command of time expressions. Topics: Grammatical topics covered in this level will include contracted pronoun forms, the Past Habitual verb tense, the Past Continuous verb tense, expressions of compulsion, further uses of the Infinitive, and an introductions to the Subjunctive. Learners will also cover expressions of measures and price discussions. Lessons: Chapters 18 to 30, pages 267-412, plus supplemental material selected or generated by the instructor. Offered on: Wednesdays: 6:15 - 8:45 pm. Enroll now! This course is for those learners who, having acquired a solid grounding in listening, speaking, reading and writing skills, wish to express themselves with more complex sentence structures. Learners will complete their knowledge of the verb system and enrich their vocabulary in order to fulfill necessary functions while traveling, in addition to expressing themselves on more abstract subjects. Learners will further be introduced to aspects of Urdu culture through aphorisms, poetry and teacher-selected materials. Objective: To allow learners to become autonomous in planning a journey, arranging transportation and accommodation, following itineraries, and seeking information on travel plans. Learners will describe past experiences and accomplishments with a wider range of tenses and practice describing ailments and physical conditions within the context of a doctor’s visit. Outcome: Upon successful completion of this course, learners will be able to extend invitations and discuss future plans, arrange for transportation and lodging, provide and follow directions, and obtain information necessary for travel. Learners will also be able to narrate past events with more complexity and master the vocabulary necessary for the description of symptoms during a visit to the doctor’s office. Topics: Grammatical topics covered in this level will include the Future, Present Perfect, Past Perfect and Perfective tenses. Learners will deepen their command of the Subjunctive through use with coordinating conjunctions, review transitive and intransitive verbs, and compound verbs. Textbook: Chapters 31 to 41, pages 413-552, plus supplemental material selected or generated by the instructor. $360 for a 10-week one level class per student, $720 for a 10-week accelerated class per student. Early Bird discount is $20. Au-Pairs can receive a 10% discount on tuition with proof of their status. Only one discount applies. Enroll now! May be purchased at the time of registration or at the Institute before or on the first day of class. Prices are subject to change at any time. Once received by the student, books and other materials are the property of the student and are non-refundable. Tax exempt organizations or individuals need to provide proof of sales tax exemption before being charged. No retro-active refunds of sales tax. Regular group classes meet once weekly (or twice for the accelerated class) in the evening (6:15-8:45 pm) or on Saturday mornings (10 am-12:30 pm) for 10 weeks. Each session is 2.5 hours. All classes are held at Rhode Island Ave NW, Suite 100, Washington, DC 20036. We are within walking distance from the Metro's Dupont Circle (South exit) and Farragut North stations. Parking garages are close by and parking on the street is available after 6:30 pm. Minimum 3, maximum 12 students. We recommend signing up as early as possible so we can adequately plan for all classes. If the minimum enrollment of at least 3 students per class is not met, we will have to cancel that class after the registration deadline has passed. In case of a cancellation, students will be given the opportunity to change classes, postpone their enrollment or request a full refund. Our program requires each student to participate in weekly quizzes, which will be graded, based on a “Pass” or “Fail” system. There will be a final quiz that will measure the sum of the instructional objectives for the course. Grades are verbally communicated to students at the end of each class/course, and are marked on the attendance/performance sheet. Students must have completed and passed at least 70% of the quizzes to move to the next level. It is important for students to attend every class meeting. It is also important that they arrive on time for class. We cover a lot of material in each class. The instructor cannot repeat material for students who are absent or come late. Students will be marked absent when they do not come to class. Students who arrive 15 minutes after the advertised starting time will be marked late. For every 3 times that the student is marked as late, it will count as a missed hour. If we notice that a student’s attendance is in danger of falling below 70%, we will issue an attendance report to the student. We issue certificates at the end of the semester and they can be ordered at the front desk. In order to be eligible to receive a certificate or pass to the next level, you are required to attend a minimum of 70% of the classes and have a “Passing” grade. We will need a couple of days in order to verify your attendance and passing grade before issuing the certificate. 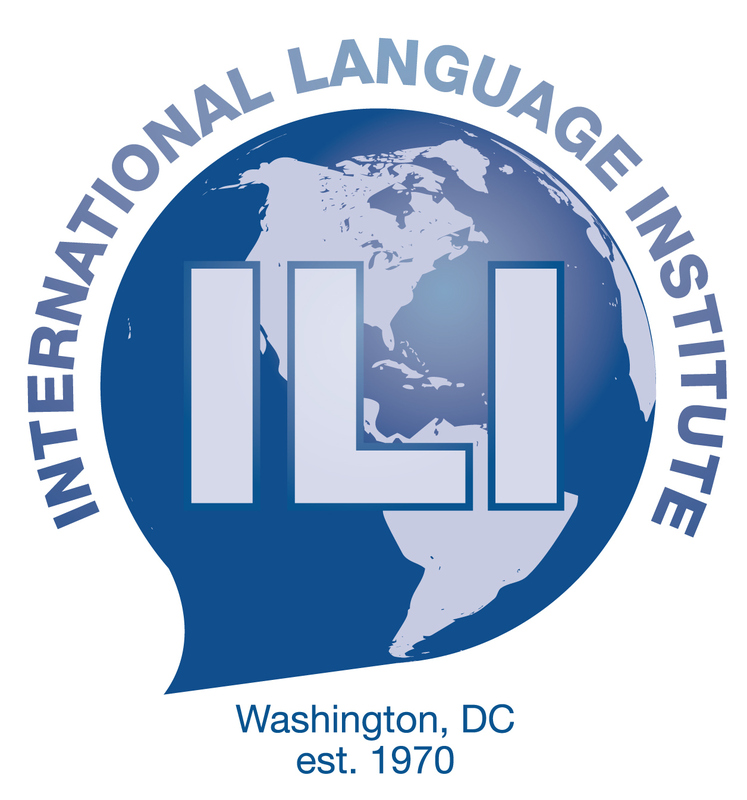 ILI’s foreign language group programs are accredited by ACCET (Accrediting Council for Continuing Education & Training), and we also offer 2.5 Continuing Education Units (CEU’s) per every successfully completed course, 5.0 for the accelerated courses. Upon request, our Certificates of Completion can include the CEU’s earned per semester. The International Language Institute reserves the right to cancel any class if deemed necessary. Prior to commencement of class, students will be given a full refund. In the event of cancellation after the commencement of class, the pro-rata portion of the unexpended tuition will be refunded. The prorated amount of refundable monies will be determined by the ratio of classes completed to the total number of classes in the scheduled program. The International Language Institute reserves the right to assign substitute instructors whenever necessary. No refunds are issued for any reason after the registration deadline for the term (see Schedule above). Classes are cancelled in accordance with federal government closings (not school closings!) due to inclement weather. Please check public announcements on radio, TV and the Web; or call ILI at (202) 362-2505. Closure are also posted on our Facebook page at https://www.facebook.com/ILIinDC.